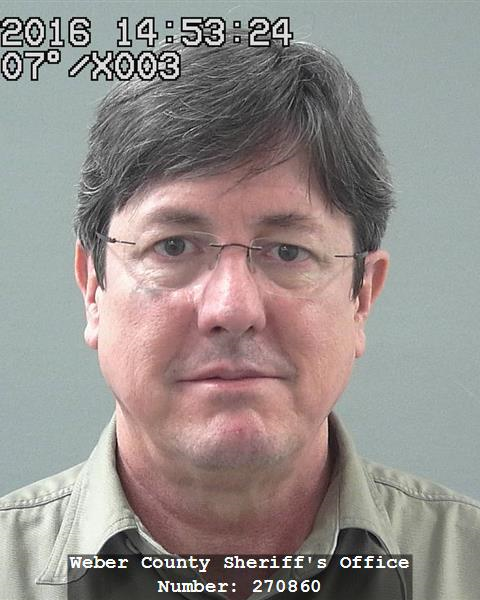 ST. GEORGE — In a highly-publicized multimillion-dollar food stamp fraud case, Fundamentalist Church of Jesus Christ of Latter Day Saints polygamist leader Lyle Jeffs struck a plea deal with federal prosecutors Wednesday in U.S. District Court. Jeffs appeared before U.S. District Court Judge Ted Stewart where he pleaded guilty to food stamp fraud and failing to appear in court. As part of the plea deal, a third charge alleging conspiracy to commit money laundering was dismissed and a mandate for $1 million in restitution to the U.S. government was imposed. The restitution must come from Jeffs personally and not from the FLDS Church. Stewart told Jeffs he could spend between three and five years in prison, depending on what the judge decides once a presentence report is completed. His sentencing is scheduled for Dec. 13. The defendants in the case had allegedly ordered FLDS members to hand over SNAP benefits to a church warehouse where leaders decided how to distribute products to followers. The food stamp benefits were also allegedly cashed at sect-owned stores without the users getting anything in return. Federal prosecutors have alleged that the fraud scheme bilked taxpayers out of more than $12 million over the course of five years. Ten co-defendants resolved their cases by pleading guilty to felony or misdemeanor charges. All avoided jail time or paying restitution. Jeffs was the last remaining defendant of the 11 indicted by a federal grand jury in February 2016 on food stamp fraud and money laundering charges. Jeffs, once a bishop in the Fundamentalist LDS Church, became a fugitive from those charges, after he fled home confinement in order to carry out the dictates of Warren Jeffs, federal prosecutors allege in court filings. Lyle Jeffs went on the run in June 2016 after a judge allowed him to be released on home confinement pending trial. Warren Jeffs, who is serving a sentence of life plus 20 years since his 2011 conviction on crimes related to marrying and sexually abusing underage girls he considered brides, continues to dictate the actions of the polygamous sect’s adherents, either through fear or loyalty, according to prosecutors. In an audio recording transcript documenting a June 25, 2016, prison visit by two Jeffs wives, Warren Jeffs sends a message to his brother, Lyle Jeffs, reminding him that he only possesses the authority that Warren Jeffs grants him. Warren Jeffs threatens to excommunicate Lyle Jeffs and send him away if he doesn’t do as Warren Jeffs commands. Shortly thereafter, in a letter dated July 7, 2016, to his other brother, Nephi Jeffs, Warren Jeffs dismisses Lyle Jeffs as bishop, strips him of all priesthood power and sends him away on a repentance mission. I seek yours and the Lord’s forgiveness for the hesitation and any fear that was a part of me and pray that it will never show its ugly head again. I do feel the gentle peace of the sweet Spirit seeking to continually increase in becoming like God in everything I do, that is be of and by Him, through you dear father. You are my Priesthood head and have the right to rule in my life, and I love to have it so. Please continue to teach and correct me where necessary in polishing me into the likeness of God which I see and feel in you. The letter also includes lines indicating unrest within the FLDS community. After nearly a year on the run, Lyle Jeffs was captured in South Dakota after he pawned a Leatherman multitool for $37 cash. A pawn shop employee recognized Jeffs and called police. Authorities said Jeffs was alone and had been living out of his pickup truck at the time of his arrest. Attempts for comment from Kathryn Nester, Lyle Jeffs’ attorney, were not immediately returned Wednesday. One more Jeffs goes to the can where they all belong. I don’t know about you, but I must have a different God than the FLDS has. I am pretty sure that my God would not want me to take from others through fraud and bilk millions of $ from non-believers and believers alike (food stamp fraud). It is called stealing and is against the Commandments. Have no doubt foxy that his god is not the God of the Bible. Stand strong.